This article is only meant to serve as guidelines for Utah Landlord Tenant laws. The information found on this page is not a replacement for law. The reader is responsible for their own research and their own education of the information. Stay up to date on Utah Landlord Tenant Laws + Save money on tenant screening and other property management needs. Join AAOA today, it’s FREE! By the law, Utah tenants are required to abide in a certain way. They must follow certain procedures as outlined by the law as well. Tenants also have certain rights that they are entitled to, as well as things they are responsible for. The tenant has the right to dwell in a safe and sanitary housing unit. They have the right to have their dangers and issues responded to in a safe and timely manner. They have the right to quiet contentment and they should be given a reasonable notice before the landlord enters their house or premises. Tenants have the right to utilize common space in the rental units either for a small fee or for free, depending on the service. They are also allowed to post things such as fliers or advertisements in the common area as well. Tenants are given the open right to meet with their landlord if they see the need or have something important to discuss. Likewise, tenants must also comply with all of their rental agreements and the policies of the landlord. They must pay the full amount of agreed-upon rent on time every month (or whatever time period is agreed upon in the rental agreement). They must keep accurate records of information for the landlord including the residents of the unit and their contact information. Tenants are required to respect their neighbors, maintain a friendly repose and not disturb their quiet enjoyment as well. Tenants must remain with lawful behavior on the premises of the rental unit. Keep the unit clean, clear and free of garbage and trash. Dispose of things in the proper manner. Keep the apartment or rental unit the same as it was when it was first moved into. Tenants must report any dangers or hazards that have to do with their unit or else it becomes their responsibility. Just like the rules that govern tenants, there are also landlord laws as well. Landlords are also entitled to certain rights and responsibilities when it comes to dealing with their tenants and things like that. Landlords are required to maintain open communication with their tenants and do their very best to resolve all issues as quickly as possible. State law requires that landlords must give at least a twenty four hour notice before entering the premises of the tenant unless it is an emergency. Landlords are responsible for maintaining appliances that were in the unit beforehand, taking care of bug infestations and keeping things such as mold to an eliminated minimum. Landlords can be sued if any of these things are left uncared for. Many cities in Utah are under a Good Landlord program which may involve landlords who follow certain rules in exchange for a cut licensing fee. Sometimes this involves the removal of a disturbing tenant. Landlords are required to maintain units that correspond to the state health and safety codes. If a unit becomes unlivable or uninhabitable at no fault to the landlord, no rent will be due any longer, but the landlord will not be at fault or have to pay any outside bills. Landlords must give proper notice to any change in policies or rental terms. They are required to follow legal eviction procedure. Overall, landlords must adhere to fairness and be open in their communication with the tenants. There are a lot of different pieces of information regarding lease and rent that are specific to Utah as well. Tenants can either have a written rental agreement or a verbal one. Verbal ones are most typically from month to month in a less-binding agreement. Written ones are beneficial for those who are wanting to stay awhile and make sure they remain accountable to each other. Tenants shouldn’t pay in cash unless they get a receipt. This is to help ensure the trustworthiness of the landlord. Get a list of different furnishings, things included in the homes as well as repairs that need to be made at the time of move-in. This should be included in your rental agreement and signed by your landlord. It is oftentimes a great idea to also document the condition of the apartment in picture or video format and in great detail to avoid any future conflicts. Agree on who will be responsible for the utilities. Both parties should agree and the party responsible should pay them on time. Tenants may also have a leased agreement which is typically for a long period of a time, most of the time a year to year basis. All of these should be discussed thoroughly with the tenant. The Utah Fair Housing Act outlines the importance of not discriminating toward individuals or any reason. Landlords cannot deny a person a rental unit or make any drastic changes to their rental policies specifically because of any discriminatory reasoning. This includes everything, including gender, age, race, nationality, amount of children, annual income, religion etc. If someone feels as though they are being discriminated against they can report it at the HUD Federal Housing Complaints. Security Deposit Information Most landlords require their tenants to pay a sort of down deposit called a security deposit. This deposit is usually used for things such as accidently (or intentional) damages to the rental unit beyond the normal wear and tear of living. This can sometimes be applied to a last month’s rent in the event that a tenant refuses to pay. In most cases, the security deposit is returnable at the end of the tenancy. If any part of the deposit is not going to be returnable, the landlord must detail that in writing at the time of the deposit. If the landlord does not return your deposit at the end of the tenancy, they must provide a written list of reasons and amounts as to why they are not returning it. You must receive this list or the deposit within thirty days of moving out of the premises. The tenant owed rent from some point. The landlord previously stated that the money would not be returned for the purpose of maintenance or cleaning or otherwise nonrefundable in any way. Eviction and termination are two words in the housing industry that are not fun to discuss. It is very important to be thoroughly educated about the complete process in the state of Utah in order to better understand housing and not be in a bind if it ever happens. There are many different things to keep in mind. First, it is important to realize that the eviction process happens very quickly. It is absolutely vital to respond quickly if a summons or an eviction notice is received. Do not pretend that it’s not there and hope for it to go away. Things will go much more smoothly when the eviction is embraced and handled. A landlord must give the tenant a minimum of a 3 day’s notice unless the eviction is due to dangerous reasons. The three-day notice can be for a number of different reasons. One is for tenants who miss their rent—in these circumstances they are given the three days to pay the missed rent or they will be evicted. Another is for a nuisance notice—if a tenant is disturbing their neighbors greatly, participating in illegal activity on the property such as drug dealing, or damaging the property, this can happen. If a tenant refuses to comply with a portion of the rental agreement, they may be given three days to comply or leave. There is another process of five days if a landlord has no real reason to evict a person. They must give them a very minimum of five days to move. A landlord does not have to have a written reason to make a tenant move out. To make the court process easier, tenants should keep all documentation and copies of their rental agreement and payment receipts to use in court. Once an eviction notice expires, the tenant will be required to pay treble expense for each day they stay in the unit past the expiration of the eviction notice. This is usually about three times what rent normally is. Once a tenant is notified about an eviction, it will then go through a court hearing should they decide to fight the case. If they choose to move out at will, then the case will be dropped. Law enforcement officers are the only ones who can physically evict someone from a location. Landlords are absolutely prohibited from changing the locks, removing the tenant’s belongings or shutting off their utilities in an attempt to get them to move. If this happens to a tenant, they can file charges against that landlord. Tenants who apply to rent in Utah will need to have a tenant screening background check performed. These screening reports can easily be done online through the American Apartment Owners Association and the fee can be billed to the applicant. To learn more about tenant screening services, visit our page dedicated to Utah Tenant Screening Background Checks. All states require a variety of forms to rent an apartment to a tenant and Utah is no exception. Check out American Apartment Owners Association’s Utah Landlord Forms now. 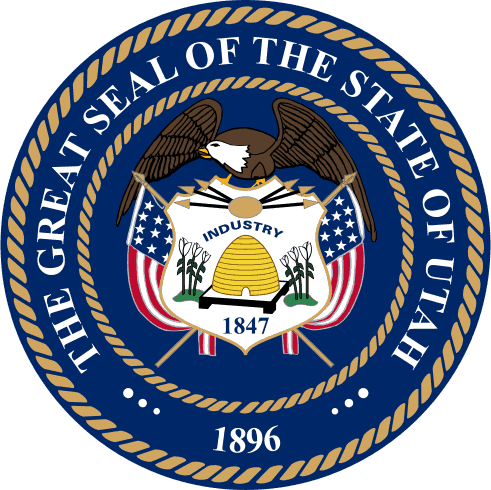 If You Need More Information To get information on the rules governing Utah landlords and tenants, view the Utah Legal Court. For further information about Utah landlord laws, visit the HUD. To file a complaint toward a bad landlord visit the Utah HUD Housing Complaint site to find out the procedure. To view other information about renters in Utah, view the Renter’s Handbook.